For Louise Fauteux's recent appearance in Un Ballo in Maschera with Connecticut Concert Opera, the Hartford Courant characterized her as a "pert, boyish Oscar" with "clarion tone in her two showpiece arias and a soaring top in the great Act I ensemble." 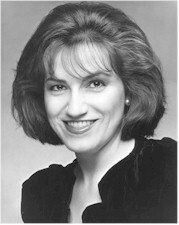 With a voice that has been called "stunning" and technique described as "seemingly effortless," Ms. Fauteux has also been heard in leading roles in The Magic Flute, Hansel and Gretel, Dido and Aeneas, Amahl and the Night Visitors, The Telephone and The Marriage of Figaro for such venues as Opera North, El Paso Opera, Opera Theatre of Weston, Boheme Opera, Hat City Music Theatre, Brattleboro Opera Theatre, and American Classical Orchestra. 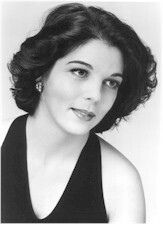 While still a student at Westminster Choir College in Princeton, New Jersey, Louise Fauteux was a featured soloist in Peer Gynt with Kurt Masur and the New York Philharmonic. She toured Korea and Taiwan with the Westminster Choir under the baton of Joseph Flummerfelt. Awards and honors include a fellowship with the Carmel Bach Festival, national semifinalist for the MacAllister Awards, semifinalist in the Bethlehem Bach Competition, and the Highwood Scholarship from the Connecticut Opera Guild. She also received scholarships for graduate study at Westminster and in Weimar, Germany, where she performed with the Jenaer Philharmonic Orchestra. Her concert performances include Saint Saens' Christmas Oratorio, Haydn's Nelson Mass, Mozart's Exsultate, jubilate, Orff's Carmina Burana, Brahm's Requiem, Beethoven's Mass in C, and various Handel oratorios and Bach cantatas. She has been seen in the Brooklyn Academy of Music's performance of the Bach St. Matthew Passion, directed by Jonathan Miller, and been a soloist in the same work under Blanche Moyse at the Marlboro Festival. This Spring she is engaged to sing Haydn's Creation with the Hartt School of Music Orchestra for the University of Hartford. Ms. Fauteux is a native of Connecticut and studies with Arthur Levy in Manhattan. Megan Friar, mezzo-soprano, is familiar to audiences as a soloist in opera, oratorio and musical theater. She has performed with the national tour of The Phantom of the Opera and has appeared with Sarasota Opera, Connecticut Opera, Connecticut Grand Opera, New York Gilbert & Sullivan Players (NYGASP), Virginia Opera, Des Moines Metro Opera, American Opera Projects and Dicapo Opera. Recent performances include her New York City Center debut with NYGASP performing the role of Ruth in The Pirates of Penzance, as well as the role of Verena in Stephen Paulus’ opera, Summer at the Center for Contemporary Opera in New York City. As a concert soloist, Ms. Friar recently performed with the Dave Brubeck Quartet and Musica Sacra at Carnegie Hall, as well as being a soloist in Mozart’s Requiem at Alice Tully Hall in New York City. She is a soloist with various New York City ensembles including AmorArtis, Virgin Consort, Vox Vocal Ensemble, New York Virtuoso Singers and Musica Sacra. Other concert appearances have been with the Mark Morris Dance Group, Cape May Festival Orchestra, Detroit Symphony, Jacksonville Symphony, Sioux City Symphony, Eastern Connecticut Symphony, Fairfield County Chorale and the Fairfield Orchestra. Ms. Friar has been a featured soloist on many recordings, including Stravinsky's Russian Peasant Songs with Robert Craft; and has appeared on the Garrison Keillor Radio Show, The David Letterman Show, and The Guiding Light. She performs in concert with her husband, jazz pianist Ron Drotos, singing classic songs of the American musical theater and recently released a CD with him entitled Songs From The Heart. Ms. Friar is on the faculty of the Fairbanks (Alaska) Summer Arts Festival, performing and teaching classes in musical theater, cabaret and vocal technique. American tenor Gregory Mercer has been hailed throughout the world for the sweetness and agility of his voice, his musicality and his acting ability. This sublimely flexible singer is equally at home on opera, concert and recital stages. Among the many companies in the United States with whom he has sung are The Metropolitan Opera, Lyric Opera of Chicago, New York City Opera, San Francisco Opera’s Western Opera Theater, Virginia Opera, L’Opera Francais de New York, Orlando Opera, Des Moines Metro Opera, Opera Festival of New Jersey, Skylight Opera Theatre, Connecticut Grand Opera and Opera Roanoke. Overseas, he has appeared at the opera companies of Amsterdam, Monte-Carlo, Basel, Graz, Caracas, and Prague, with whom he also toured Japan. A superb concert artist as well, Mr. Mercer has been featured with many major orchestras, including The Saint Lukes Chamber Orchestra, Brooklyn Philharmonic, Chicago’s Grant Park Symphony, Grenoble Symphony, Springfield Symphony, Rhode Island Philharmonic and the Westchester Philharmonic. Choral groups include The Oratorio Society of New York, New York Choral Society, Dessoff Choirs, Pro Arte Choral, Princeton Pro Musica, Amor Artis, National Chorale, Baltimore Handel Choir, Harvard-Radcliffe Chorus and the Barnard-Columbia Chorus. He has also sung at several music festivals, such as the Tanglewood, Stern Grove, Besancon, Brevard, Winter Park, Monadnock and Berkshire Choral Festivals. His television credits include appearances on ABC, CBS, NBC, PBS, German National Television, Czech National Television and Yugoslav National Television. He has recorded for the Albany, Caedmon, Vox, Koch, New World and Original Cast record labels. Mr. Mercer was recently named cantor, tenor soloist and assistant conductor at St. Patrick's Cathedral in New York City. Michael Cavalieri, baritone has sung the roles of Guglielmo (Cosí fan tutte), Eisenstein (Die Fledermous), Ottone (The Coronation of Poppea), Bogdanovich (The Merry Widow), Happy (La Fanciulla del West), Captain Corcoran (H.M.S Pinafore), and recently sung Count Almaviva in Le Nozze di Figaro with Yale Opera. 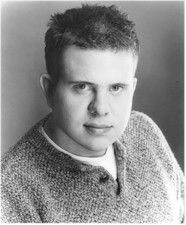 He was a member of the Apprentice Program for Singers at the Santa Fe Opera in 2001. 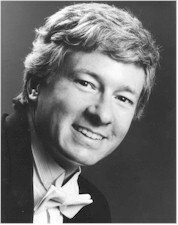 Michael has performed with Arizona Opera, Opera Illinois, Operafestival di Roma, Grant Park Symphony, and the Connecticut Early Music Festival. Michael recently appeared as the baritone soloist in the Waterbury Chorale’s production of Bach’s Christmas Oratorio. Michael received his Masters degree from Arizona State University and Bachelors degree from Illinois Wesleyan University. He has received several awards and scholarships. Michael is currently an Artist Diploma candidate at Yale University and studies with Richard Cross.